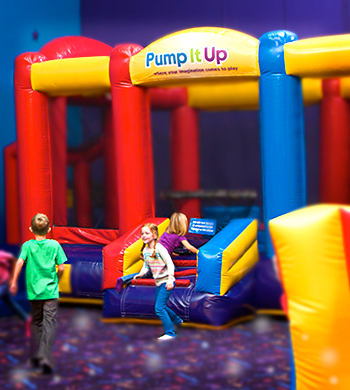 This inflatable has something for everyone! 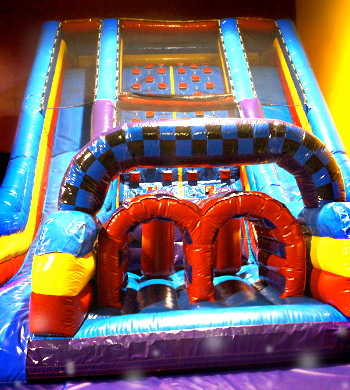 It is a slide, a bounce area, an obstacle course and a climbing area; kids really love this. 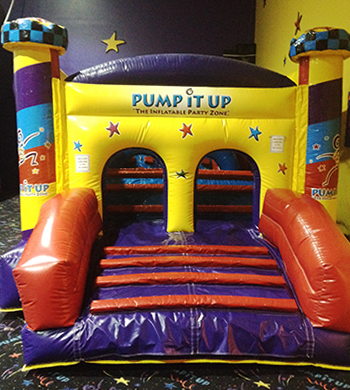 Come bounce in our large octagon with mesh sides to keep the kids safe. This is a picture of the ending of the course; begin with climbing up. continue through and around and end up sliding down. 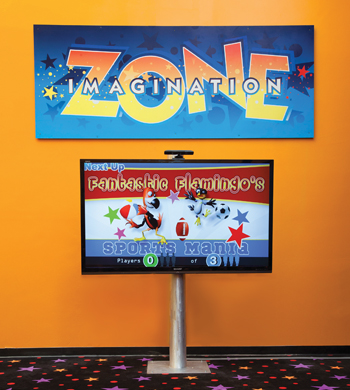 Kids will race their friends to see who is the quickest through this fun-filled course! 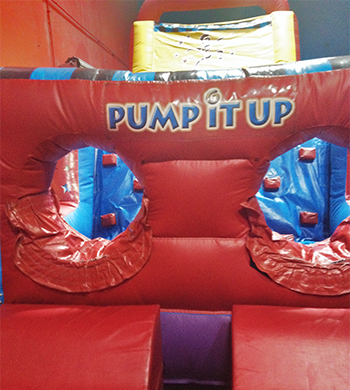 Enter our gigantic Obstacle course and climb up several hills and race your friends thru this long, fun filled course. Will you be the winner of the race? 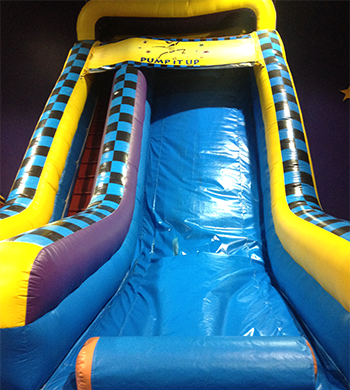 Kids enjoy climbing up this 18' Slide and seeing how fast they can slide down! Luckily, the soft yet firm bumper will stop them once they get to the bottom. 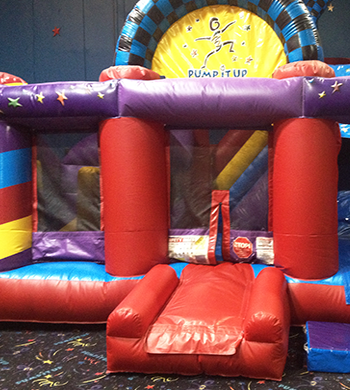 Designed for ages 6 and under; this obstacle course is tons of fun. 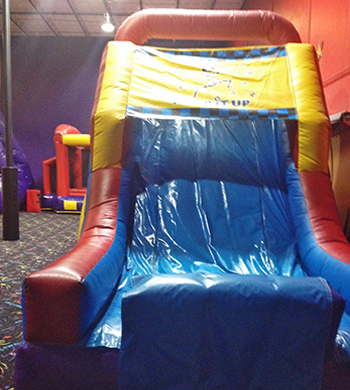 After climbing through the course; ending on a pint-sized slide gets the giggles going! Whoosh! Brave the blast! 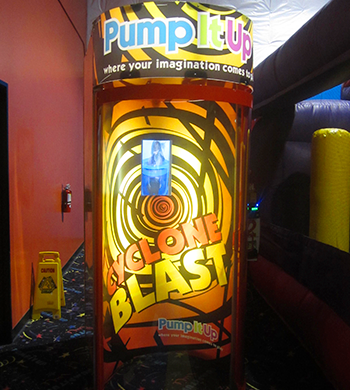 With speeds of up 78 miles per hour you’ll feel like you’re in a tropical storm. 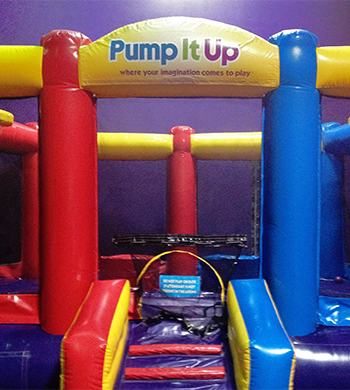 Go on…jump in this ride – you’ll be blown away! Only costs $2.00 for all this fun!